Debbie Dadey is Back for a Sea Horse Adventure! Debbie Dadey is one of our favorite authors to visit the store and we're so please to help her introduce the newest book, THE SECRET SEA HORSE, in her Mermaid Tales. We have lots up our sleeve to have fun with an under the sea party! Come out to meet Debbie, get a glitter tattoo and have lots of fun. To attend this event, you can purchase any of the Mermaid Tales books listed below. Order it online or call the store at 215-256-9311 to reserve your copy. Debbie will be joining us for a book release party for the 6th book in her Mermaid Tales series, "The Secret Seahorse" We will have face painting, activities and goodies for the kids. Echo Reef loves sea horses so much, she wants one for a pet…no matter what! Of all the creatures in the ocean, sea horses are Echo Reef’s favorite. They’re sweet and gentle and they glide through the water so gracefully. When Echo discovers that Rocky Ridge, one of her Trident Academy classmates, has his own pet sea horse, she wants one right away. Not everyone agrees sea horses should be pets, however—perhaps they are happiest when swimming freely. But Echo thinks that if Rocky can make a sea horse happy, she can too! Can’t she? Mermaid Tales Book 5 The Lost Princess Book Signing with author Debbie Dadey Saturday May 11th @ 2:00pm Please join us for a very special Princess Party book release! Debbie Dadey, author of the amazingly popular ADVENTURES OF THE BAILEY SCHOOL KIDS book series will be here to sign copies of her lastest book series MERMAID TALES. The first two books are available now! At this event there will be some arts & craft type activities for the kids, such as making your own jellyfish, drawing and coloring mermaids, as well as an appearance by a real live mermaid! Debbie Dadey is the author of over 145 children's books, including The Adventures of the Bailey School Kids series. Dadey was a first grade teacher and librarian before becoming a full-time writer. Her award-winning "books for reluctant readers" have been published by Scholastic, Tor/Starscape Publishing, Hyperion, Bloomsbury, Delacorte, and more! It's a Beach Party with Author Debbie Dadey! Kids love the THE Bailey School Kids and THE KEYHOLDERS series by Debbie Dadey and now we're excited to welcome Debbie back to Harleysville Books to introduce children to her newest series, THE MERMAID TALES! The weather is getting warmer and it's the perfect time to throw an Under the Sea Party! We'll be having a splashin' good time with Debbie and fans! We'll have a surprise guest with us as Debbie's daughter will be dressed as a mermaid for fans to take pictures! Children are encouraged to dress up in their favorite beachwear. Tickets are free with the purchase of either of the first two books in THE MERMAID TALES: TROUBLE AT TRIDENT ACADEMY or BATTLE OF THE BEST FRIENDS. 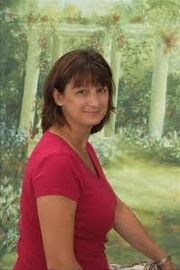 Debbie Dadey is currently considered a "single author." If one or more works are by a distinct, homonymous authors, go ahead and split the author. Debbie Dadey is composed of 10 names. You can examine and separate out names.